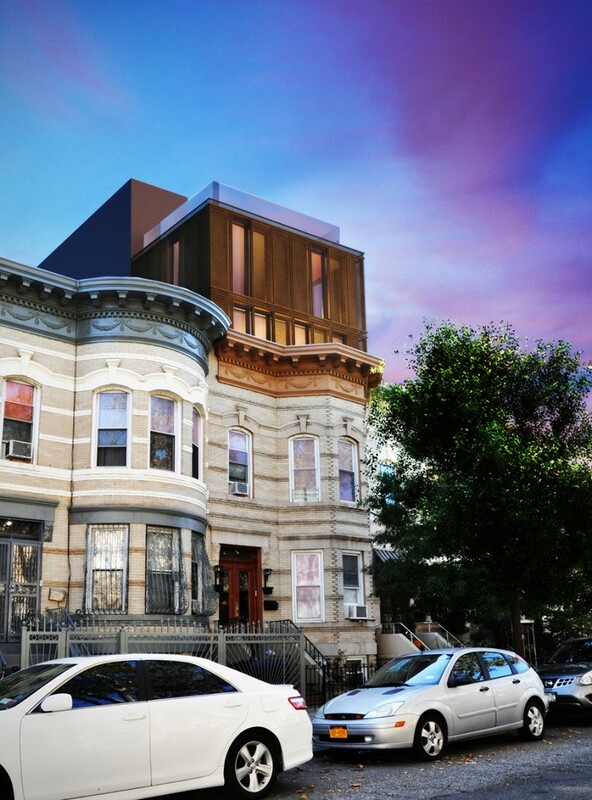 OPerA Studio is currently designing several extensions and alterations of existing two and three story townhouses in the Bushwick area of Brooklyn. Each project involves a change of use from either a one, two, or three story residence to a six family multiple dwelling. With five such projects underway, each one presents its unique challenges. A thorough understanding of the building code, zoning, and multiple dwelling law requirements is required to successfully execute these projects. In this post, I’ll outline several of the key points, which I’ll expand upon in future posts. The first question that comes up is: how to build it. 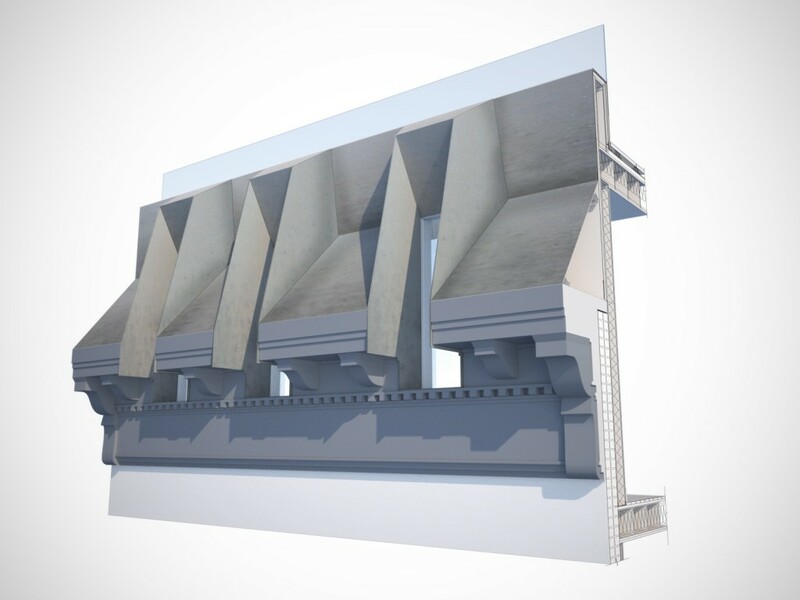 Can we simply add cold-formed steel stud walls to the top of the existing brick bearing walls? The answer is yes, under certain circumstances. 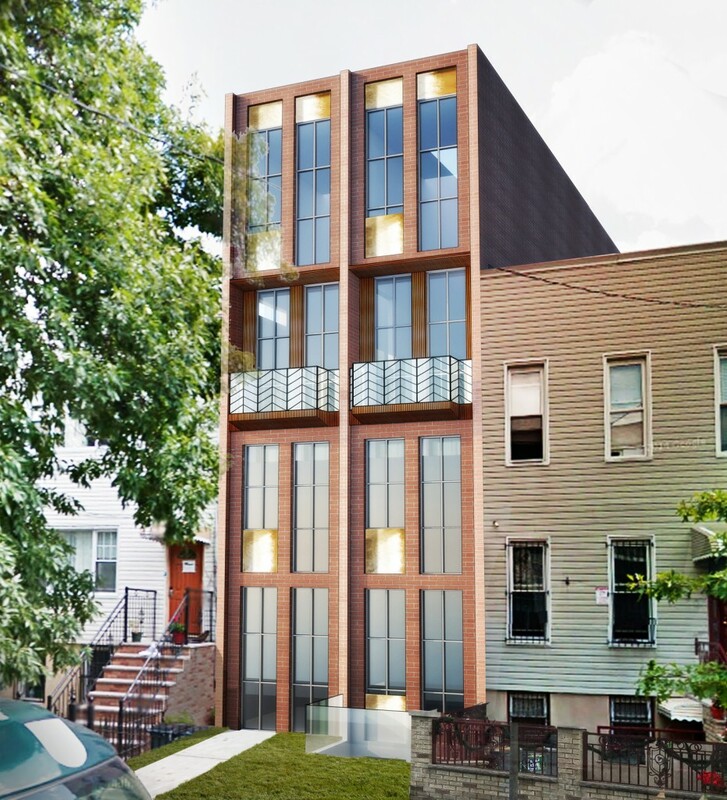 At 308 Eldert Street and 163 St. Nicholas Avenue, we are adding one floor with steel stud framing, with minimal additional framing to distribute load back to the footings. This is possible when the alteration is filed under the 1968 building code. 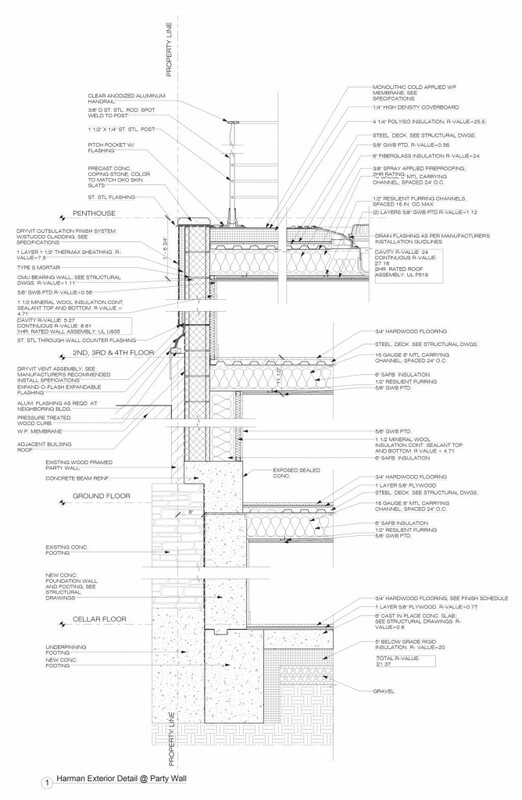 If the addition is limited to one floor, seismic requirements allow limited extensions to avoid seismic design requirements and the installation of a new moment resisting steel frame. 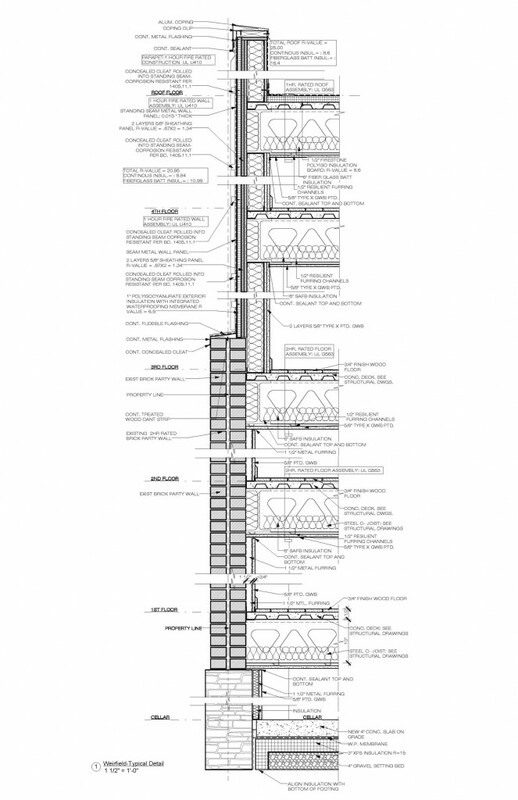 If a two story vertical extension is planned, seismic requirements kick in and the additional portion of the building is required to have a moment resisting structural frame. This is basically like creating a building within a building. At this point, the best way to proceed with the design is to re-frame all floor levels of the building and file it with the Department of Buildings as a 2014 code alteration. This strategy helps us deal with another factor: providing the required number of means of egress. Exits: new fire escapes or not? Per the building codes and the multiple dwelling law, two means of egress are required from every apartment in a multiple dwelling, and from each floor of a residential building. In an alteration filed under the 1968 building code, fire escapes are allowed as a second means of egress from each apartment on existing buildings. 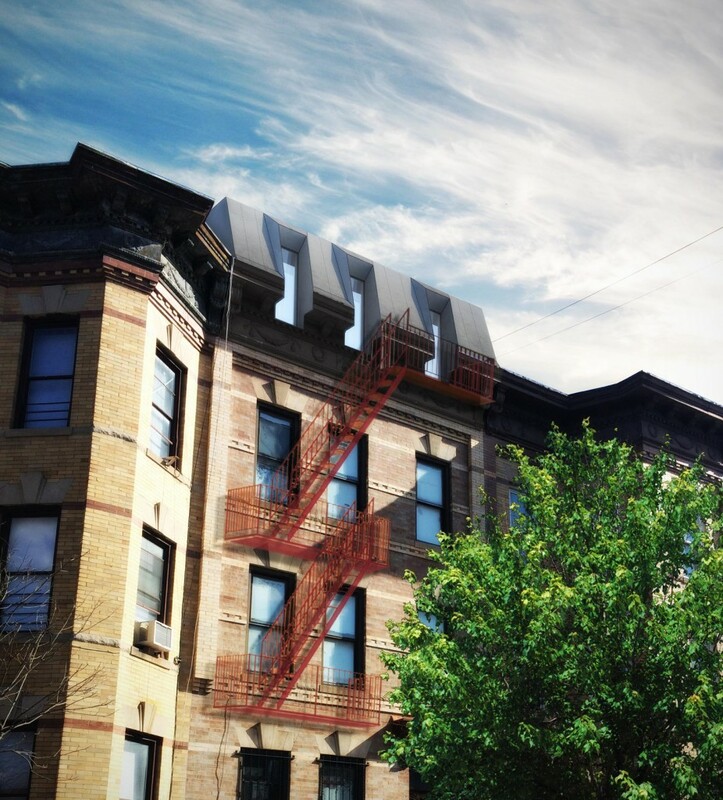 However, the fire escape is an unsightly and costly addition to the project, and can be avoided. If a residential building is four stories or less, under 2000 s.f. 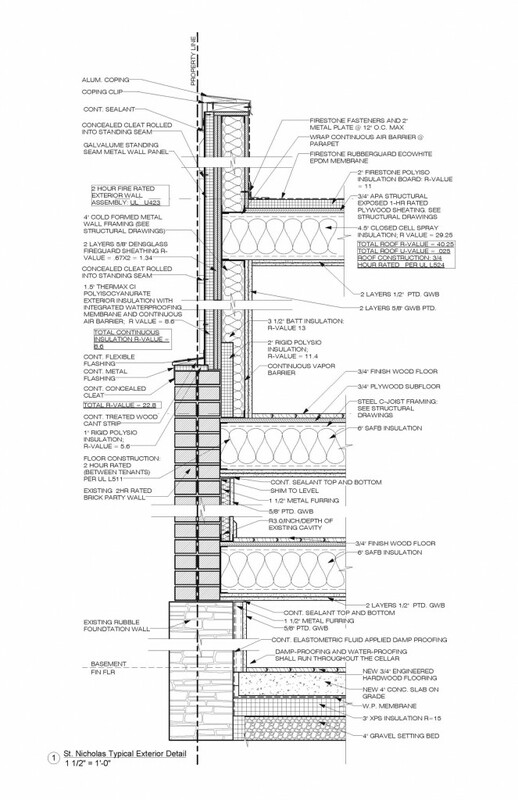 In footprint, and built of non-combustible materials (no wood framing), one interior egress stair may be provided. This is a good reason to remove all of the existing wood floor joists in this type of renovation. In a two-story addition with a new moment frame, it is hard to salvage the joists while installing the steel. In a one story vertical extension, the cost of replacing wood joists with steel is less than the cost of providing new fire escapes, when taking into consideration that the existing joists will also need to be levelled, repaired, or replaced in areas. The next factor that figures into the configuration of the building is the elevator. In some instances, the zoning analysis for buildable square feet allows for a massing that creates a five story building. At this number of stories the NYC building code requires the installation of an elevator with minimum dimensions to accommodate an emergency stretcher. Therefore, a fifth story should be avoided since an elevator is not a cost effective use of a small floor plate and is not deductible from zoning floor area. 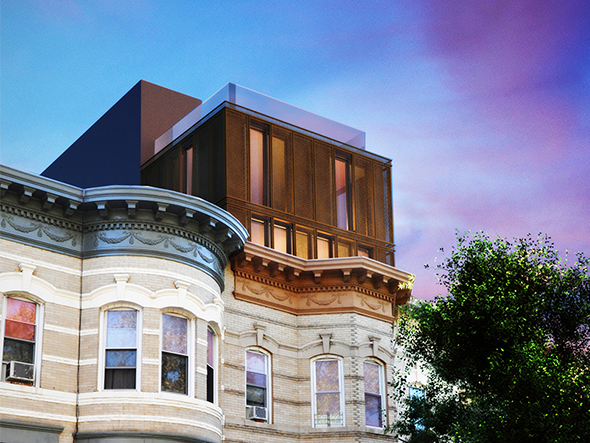 In massing the building, a four-story configuration should be the goal, with the exception of a penthouse at the roof. 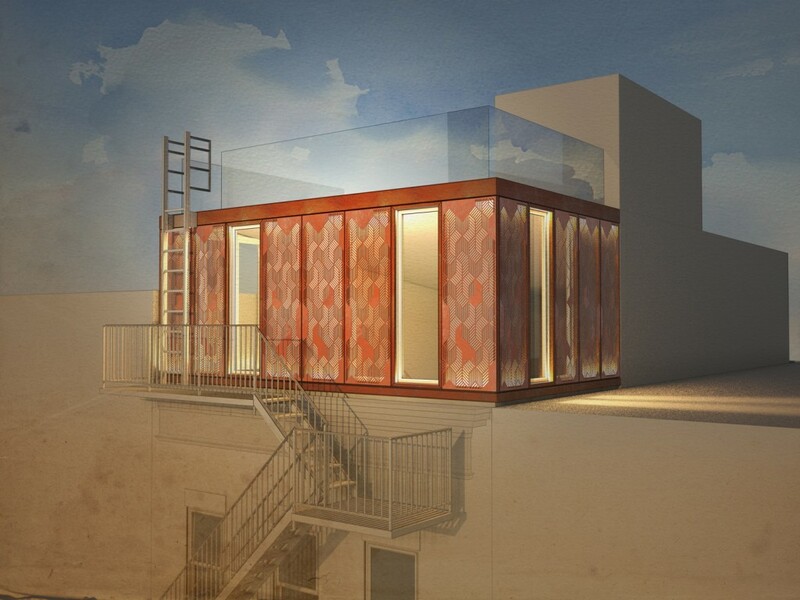 Penthouses that occupy no more than 1/3 of the footprint of the roof are exempt from the definition of a ‘Story’ and therefore a building with four stories plus a penthouse is exempt from the elevator requirement. Where does this leave us with regards to handicap accessibility if there is no elevator? Per the new york city building code, residential buildings that are otherwise not required to have an elevator are only required to have an accessible entry and features on the lowest level of residential use. This may require the provision of an access ramp or platform lift of the existing first floor of the townhouse is raised above grade. This can be a challenge for many properties that have a small or no front yard, since the code only allows for a 44 inch projection past the lot line to accommodate access to the first floor of existing buildings. Other required features on the lowest level of apartments are the NYC type B adaptable bathrooms and clearances at all doors. There are many existing wood frame party wall townhouses in Brooklyn with expansion potential to significantly increase their size. The issue is that the wood frame construction type is not permitted for a multiple dwelling building of three or more stories. Therefore this type of conversion, while maintaining the wood frame, is not possible. Another factor is the 110% rule of the 2014 building code. This rule states that any alteration with more than 110% of new or replaced horizontal surface area is required to comply with the 2014 building code, which does not permit wood frame buildings within the fire district that encompasses all of Brooklyn and Manhattan. The solution to this is to take down all of the structure except for the existing foundations and shared wood frame party walls. Then, a new vertical structure is built within the existing party walls, including new floor framing and facades. At our project at 452 Harman Street, we are building new concrete block bearing walls immediately adjacent to the wood party walls. This structure provides the fire rating separation required between different buildings on the same lot. Sprinklers: Yes, the installation of a sprinkler system will be required in any modification to a residential building.